If you’re a startup in Southeast Asia, coming up with a strategy to scale across multiple markets in the region is essential. Which is why Topica Founder Institute held an expert panel session in Bangkok on the topic “Scaling Beyond Home Turf” which included Christian Mischler of HotelQuickly, Shannon Kalayanamitr of Orami, Robert Zepeda of Playbasis, Jakob Pedersen of Playlab, and Casey Liang of Pomelo. Christian Mischler, CMO and COO of travel startup HotelQuickly, led his team in successfully launching in six Asian countries (Singapore, Indonesia, Thailand and Malaysia included) at the same time. In the past, Mischler has launched multi-national tech ventures before — the most prominent one would be Rocket Internet’s foodpanda. Below are excerpted insights from the interview with Mischler which gives insight into his strategy and also the challenges faced in each Southeast Asian market. Why six markets at once? As a travel app, we had to launch in multiple destinations. We were considering launching it only in Thailand and focusing on building up one market first, but we felt like we should cover the destinations that are well-connected with low cost carriers also internationally. Singapore is a major hub in the region and Thailand is one of the countries with the highest number of inbound travellers globally. The region is getting more and more connected and if someone in Thailand starts to travel internationally for the first time, it’s usually to one of the bordering countries or at least one in Southeast Asia. So we focused on the low hanging fruit and added the major destinations in six countries. What challenges did your team face in each Southeast Asian market? The markets are very diverse not only in terms of culture and language, but also in terms of development stage with respect to infrastructure (airlines, hotels, payment gateways, 3g/4g coverage, etc. ), credit card penetration, and smartphone usage. Singapore was the easiest market for us to launch a mobile-only product, as there were already a bunch of mobile-only companies in the market. However, the competition and the cost-per-install was also tremendously higher in Singapore compared to other markets. Thailand is our home market, hence we had most people here, and we were closest to the end customers. Even though we’ve had challenges with the localization of the product to Thai, we invited some of our heavy users as well as completely random people (but who were within our target market) to the office whenever we had a major release of the app and asked them to play around with the app and to perform certain tasks. We’d observe how they’d use the app and what challenges they’d face. This helped us a lot early on to make the product more usable and to challenge our own ideas. We’ve translated our app to Malay, but at some point we’ve discontinued with that effort. More than 95% of our users were using the app in English in Malaysia, hence the localization in terms of language is not really required to win in that market. Malaysia has ever since been an average market for us, growing steadily. Indonesia was a bit different, our users there are very deal sensitive and we needed to present them with great discounts in order to get them to book. We’ve signed more than 2,000 hotels in Indonesia alone, in order to have decent coverage throughout the country. Only then we started to see an uptake in bookings. A big challenge for us in Indonesia is the low credit card penetration and the unwillingness of credit card holders to use the card online and mobile. We’ve addressed this challenge by integrating Doku, which is an alternative payment gateway, allowing our travellers to make hotel bookings and pay at the ATM for their booking. HotelQuickly was incorporated in Hong Kong but chose Thailand as their homebase. Why? I’ve started Foodpanda a bit more than four years ago in Thailand and knew the market quite well. I was already living in Bangkok when we’ve initiated the first steps for HotelQuickly. We are in the lucky position to be BOI (Thailand’s Board of Investment) approved, allowing us to hire foreign tech talents and to get work permits for them. Without BOI, however, we could not be here. 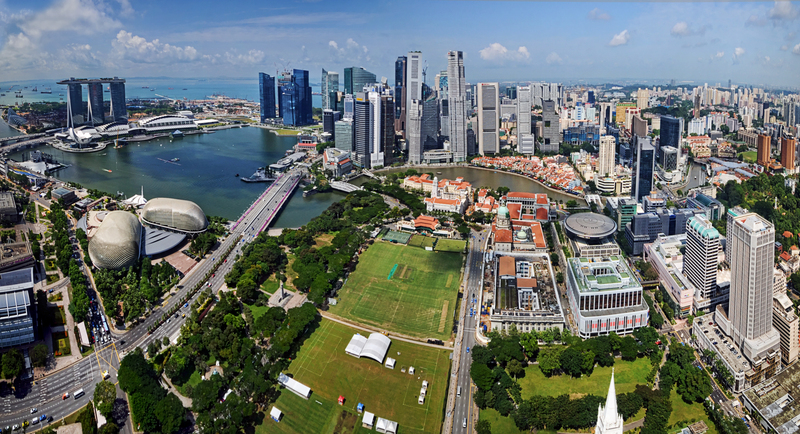 There is still a lack of startup support compared to Singapore, but there are some movements to change this. I’m happy and proud to have our head office in Thailand, it’s a great place to be based out of.